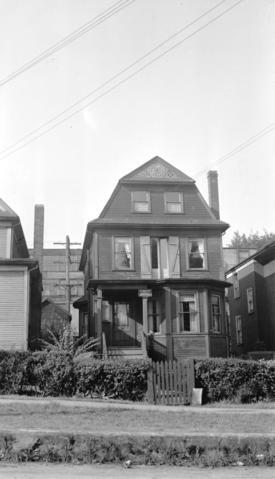 Photograph shows house which was the location of the first school for the blind started by Thomas and Charlotte Burke in 1916. J.S. Matthews' notes with print or negative in Archives.